Vulnerability is a concept with fleeting contours as much it is an idea with assured academic success. In the United States, torturable, "mutilatable," and killable bodies are a wide topic of discussion, especially after September 11 and the ensuing bellicosity. 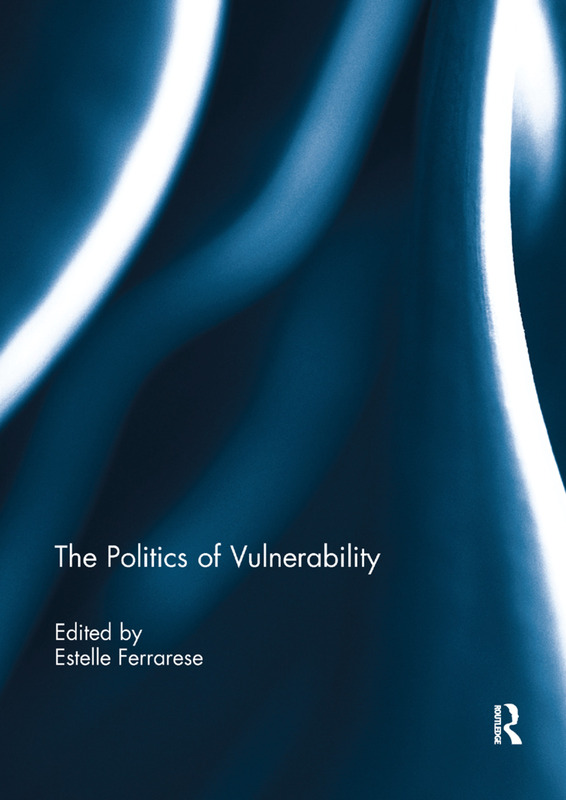 In Europe, current reflection on vulnerability has emerged from a thematic of precarity and exclusion; the term evokes lives that are dispensable, evictable, deportable, and the abandoning of individuals to naked forces of the market. But if the theme has had notable fortune, it also continues to come up against considerable reluctance. The political scope of vulnerability is often denied: it seems inevitably to be relegated to the sphere of "good sentiments." This book aims to address this criticism. It shows that by questioning our hegemonic anthropology, by reinventing the categories of freedom, equality, and being-in-common based on the body, by overthrowing the legitimate grammar of political discourse, and by redefining the political subject – the category of vulnerability, far from being conservative or a-political, works to undo the world such as it is. This book was originally published as a special issue of Critical Horizons. Introduction: Vulnerability: A Concept with Which to Undo the World As It Is? Estelle Ferrarese is full-professor of moral and political philosophy at Picardie-Jules-Verne University, France. She has been a Visiting Professor at the New School for Social Research in New York, an Alexander von Humboldt-Foundation Fellow at the Humboldt Universität in Berlin, and a research fellow at the Marc Bloch Frano-German Center in Berlin.